These enchiladas ARE delicious enough to incite mama slapping throughout the world. I can’t help it. It’s really your choice, you understand. 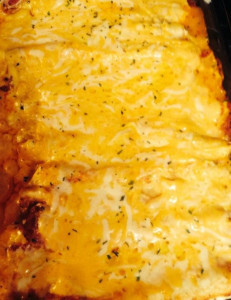 Please understand that if you make these enchiladas, it’s not MY fault you slapped your mama and I take no legal or personal responsibility as you have been warned. I’ve taught my daughters how to make these and it’s just sad that even living in Texas–the Tex-Mex capital of the whole stinkin’ world–we can’t find them this good at our restaurants. They have slapped me on occasion after trying them and I have nobody to blame but myself.